A coin graded MS-70 is the perfect coin. It has a very attractive sharp strike and original luster of the highest quality for the date and mint. No contact marks are visible under magnification. There are no noticeable hairlines, scuff marks, or defects. Eye appeal is attractive and outstanding. If copper, the coin is bright, with full original color and luster. Contact Marks: None show under magnification. • Hairlines: None show under magnification. • Luster: Very attractive. Fully original. • Eye Appeal: Outstanding. While the previous guidelines will undoubtedly prove useful to the reader, it is strongly advised that viewing actual coins in the marketplace will enable you to determine better grading practices affecting the series which interest you most. For example, the collector of Morgan silver dollars would do well to examine Morgans graded by a variety of services and sellers to determine in general what is considered to be MS-63, MS-64, MS-65, and higher grades. Coins minted before 1836 often show minor weaknesses or friction spots even though they may never have been used in circulation. Such coins are usually graded as Mint State rather than About Uncirculated when they have superior eye appeal, luster, strike, or appearance. Most people who are not coin collectors nor numismatists would look at a bright shiny coin and considerate it absolute perfection. However, coin grading is more than "how shiny a coin is." 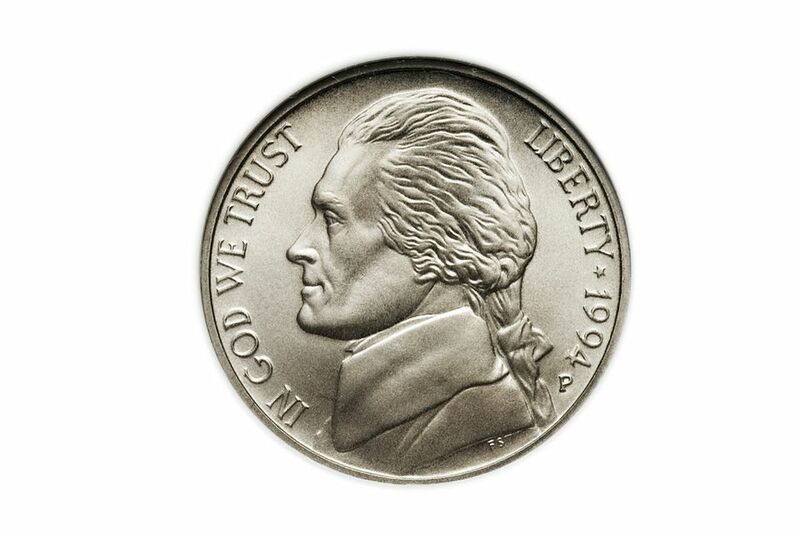 All the characteristics of a coin must be considered when grading Mint State coins. The first characteristic that a professional coin grader will consider is to see if the coin has any evidence of wear on it from being in circulation. This is done by looking at the high points of the coin's design to see if there is any metal that has been removed by friction. Next, the coin will be rotated and tilted under a light to evaluate the coin's luster. If the luster is unbroken and continuous across the entire surface of the coin, it is eligible for Mint State grading. The coin is then carefully inspected to see if any contact marks occurred during the manufacturing process. To qualify for MS-70, there must be no contact marks visible even under magnification. Finally, the quality of the strike and overall eye appeal are evaluated. If the coin is fully struck and there are no other distracting characteristics on the coin, it will then earn the MS-70 grade. A coin graded MS-70 is usually a condition rarity.